--Crystal Mountain Ski Resort has been sold. --The Las Vegas Sun is reporting that, "The fate of a planned housing development near Red Rock Canyon National Conservation Area won’t be decided by the Nevada Legislature after a proposed bill that would have killed it was gutted and rewritten. But officials believe the revised bill still sets a foundation for responsible development of lands located near the state’s national conservation areas." To read more, click here. --The Access Fund is reporting that, "The US Forest Service (USFS) is back on track to conduct an Environmental Impact Statement (EIS) this fall that will evaluate the feasibility of re-opening Williamson Rock to climbing in a way that protects the endangered Mountain Yellow Legged Frog and its surrounding habitat. Williamson Rock was Southern California’s premier summer sport climbing destination until it was closed in 2005 to protect the endangered Mountain Yellow-Legged Frog (MYLF). The Angeles National Forest restricted access to Williamson as a result of successful lawsuits brought by the Center for Biological Diversity and other conservation organizations." To read more, click here. --Pay attention for threatened desert tortoises in the desert. At least three died in Joshua Tree recently due to visitor impact. To read more, click here. --The Las Vegas Review Journal is reporting on opposition to new oil and gas leases near Zion National Park. "At an auction in September, the Bureau of Land Management is planning to offer “fluid mineral leases” on three parcels totaling just over 4,700 acres near the iconic national park in Utah, 160 miles northeast of Las Vegas." To read more, click here. --The Saint George News is reporting that, "Public comment is now open on a plan to reconfigure the south entrance to Zion National Park to help ease traffic congestion and make other improvements." To read more, click here. --Aspen Times is reporting that, "A district court judge is leaving it to a jury to decide whether Vail Resorts properly closed an in-bounds expert ski run before an avalanche killed a local teenager in 2012. District Court Judge Fred Gannett also ruled that it will be up to a jury to rule if the resort company’s signs on Prima Cornice were sufficient. 'If a jury finds that Vail intended to close Prima Cornice or a portion thereof, and that Vail’s signage was insufficient or improper under the Skier Safety Act, a verdict in favor of plaintiffs may be possible,' Gannett wrote in a ruling issued Friday." To read more, click here. --Climbing is reporting that, "Trango has elected to voluntarily recall all Trango Vergo belay devices in batch numbers 16159 and 16195 that were sold after 1 October 2016. Please IMMEDIATELY cease use of all such Vergos and return them to Trango for replacement as described below." To read more, click here. --The Access Fund has a great article out entitled "5 Things You Can do to Fight for Public Lands." To read the article, click here. --Treehugger is reporting on an artist's interesting take. 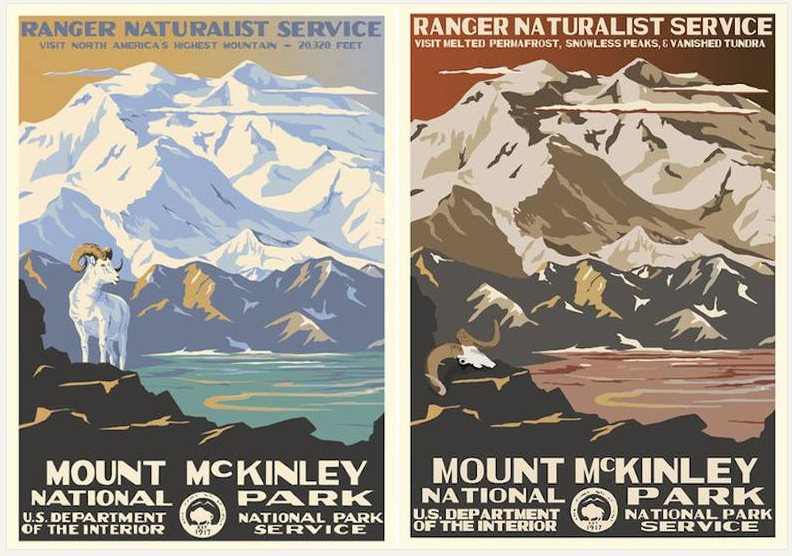 Drawing upon the WPA’s classic National Parks posters, Hannah Rothstein’s new series envisions our natural treasures ravaged by climate change.With a wry and poignant twist, artist Hannah Rothstein has reimagined the great WPA posters once used to lure visitors to the splendors of U.S. National Parks. Where the original might have promised Yellowstone’s campfire programs and nature talks, the new version offers dying trout and starving grizzlies. 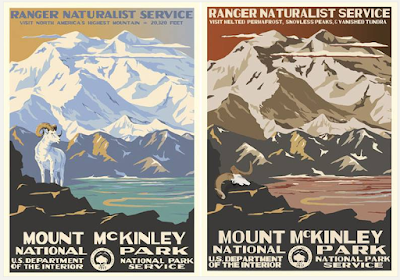 Welcome to the National Parks of the year 2050 if climate change is allowed to stake its claim." To read more, click here. --Alpinist is reporting that, "The Piolets d'Or jury is giving awards to two climbing teams this week, along with two honorable mentions, at the annual international ceremony that acknowledges exemplary alpine ascents from the previous year." To read about the winners, click here. --Outside Magazine has an interesting article on all the people who have gone missing on public lands never to be found. Check it out, here.